It's mid-summer in July but the news in Hoboken keeps coming fast and furious. If you blink, you're likely to miss something. Senator Bob Menendez is making news again. Not for fighting corruption charges but for raising a formidable legal war chest to fight off the Feds. Hudson County View covered one legal maneuver expected to be heard this week with the senator seeking a dismissal of the charges. Related to that story of Menendez's massive $2.9 million legal fund is this Hoboken nugget starring the Barry family, the renegers who are making millions in profits off the Shipyard project uptown but backed out of promised parking and tennis courts. 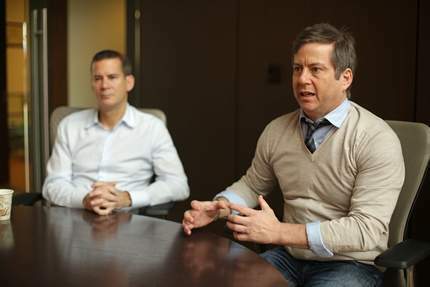 They have gone to court to push for two apartment towers, the Monarch Project. to build more towers: the Monarch Project on the pier. The earlier $1.3 million included $10,000 from a retired New Jersey developer who served two years in prison for making illegal kickbacks. Menendez’s fund also received $10,000 from the wife of the developer, Joseph Barry, and another $130,000 from executives of the development firm founded by Barry’s two sons, and their families, according to financial disclosure forms. Barry was sentenced to 25 months in prison in 2004 for giving nearly $115,000 in payoffs to longtime Hudson County Executive Robert Janiszewski after getting his help to obtain government funding. The money went toward building the Shipyard project, which turned a former Bethlehem Steel plant into high-end housing and retail that helped reshape the waterfront in Hoboken. That project is now owned by Ironstate Development Corp., which Barry’s sons started after he retired from the company. Ironstate has developed high-end mixed use projects across New Jersey and New York. HoLa, the Spanish immersion charter school saw passage of a possible city-owned space coming to its aid at the Multi-Service Center when the City Council quickly approved 1200 feet of space in the upcoming year for the sum of $1100 per month. The rental agreement is a back-up plan for middle-schoolers. The school's parents and supporters continue to hound the district to drop legal action at its monthly meetings as its seventh and eighth grade expansion has become a test of wills about charters schools and funding in Hoboken (the city has three). As the state formula underwriting education pits charters against the school district, is a competing HoLa high school in the works? Last night's speedy special council meeting managed a quorum but for the third consecutive meeting since Hudson Superior Court's Judge Patrick Arre issued a scalding frivolous litigation order on July 8 that Lane Bajardi and Kimberly Cardinal Bajardi pay over $276,000 in SLAPPed defendants fees, Councilwoman Beth Mason was not in attendance. Mason's been MIA having said absolutely nothing about the years long litigation assaulting a dozen Hoboken residents' rights to free speech. 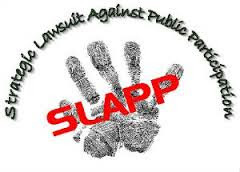 She was quoted prominently in support of the now infamous SLAPP-suit back in August 2012 in the Hudson Reporter. How far is too far in using the courts to intimidate and SLAPP Hoboken residents into silence? Not a single media source has managed to obtain Beth Mason's "bullying" answer. 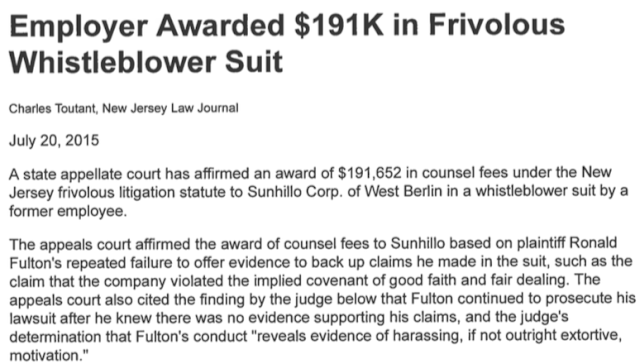 Another frivolous litigation order, with major parallels to the Mason supported Bajardi v Pincus civil lawsuit, this time from the NJ Appellate Court. 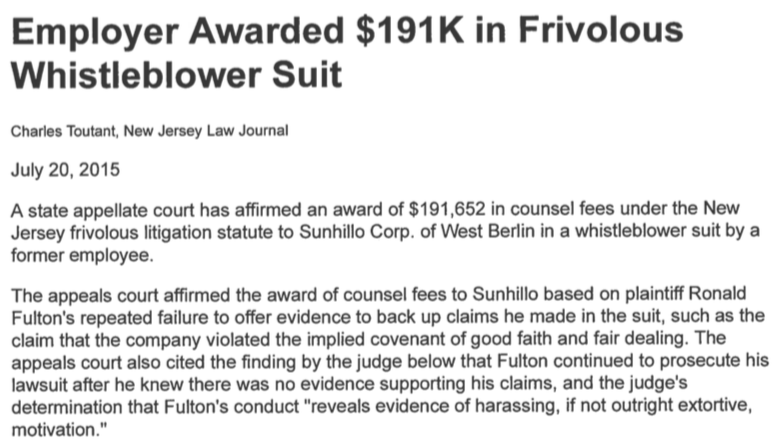 Yesterdy the higher NJ court approved $191,000 in legal fees for another civil lawsuit lacking any evidence. Carmelo Garcia, the unannounced challenger to Councilwoman Jen Giattino in the sixth ward wants Hoboken to know he has a mediation date on his infamous "ethnic cleansing" lawsuit against the City, Hoboken Housing Authority, HHA board members, the mayor and her husband. Perhaps his attorney, Louis Zayas might want to take note of recent legal news. This could be quite a bill from the collected defendants. Talking Ed Note: How would you sell yourself as a representative of the City of Hoboken while suing it for ethnic cleansing exactly? It's a sell job only the best ethic cleanser would attempt. Only in Hoboken people, only in Hoboken.